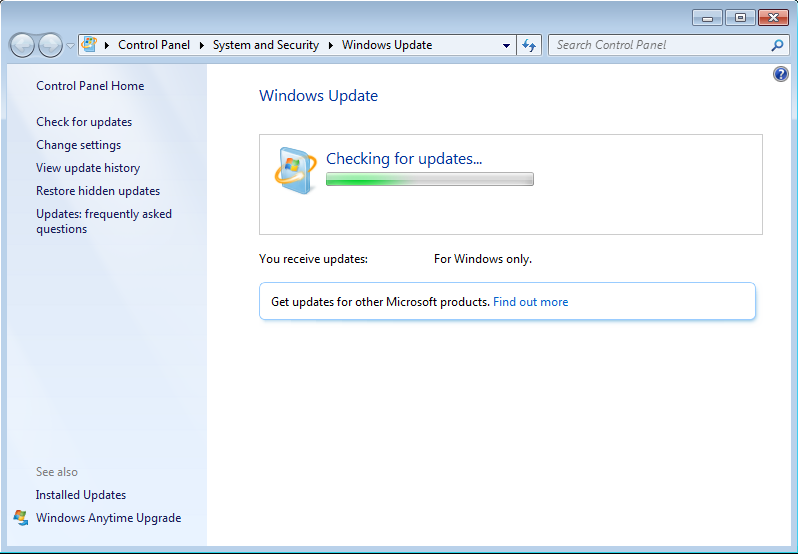 Ever since Windows 10 came out, my Windows 7 updates have gotten really slow. It started taking days instead of minutes or hours to run, with no end in sight. And the whole time it was cranking my CPU fan and still stuck at 0%. This worked until recently, when Microsoft started using an all-in-one update instead of piecemeal. When I tried WSUS Offline Update, it just failed. Back to the drawing board, I discovered Woody Leonhard’s InfoWorld article on this very topic, and his solution worked! I don’t use Bluetooth on my desktop, but you should be aware that’s still a potential pitfall. This issue has plagued me for months now. It’s quite satisfying to have finally found a solution. If you’ve had the same problem, I hope this works for you too.